The Friends of All Saints' Music have commissioned two carols from Sir Richard Rodney Bennett for our Festival of Nine Lessons and Carols on Sunday 19 December at 6:00pm: The Holly and the Ivy and The Shepherd's Carol. 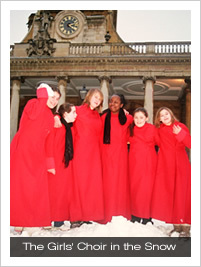 The first of these has been chosen by BBC Radio 3 as one of their "Carols of 2010" in performances recorded by the BBC Singers under the directorship of Bob Chilcott. Mr Chilcott comments: "In Britain we are lucky that choirs are very open to singing new carols, and consequently our composers are very alive to this. 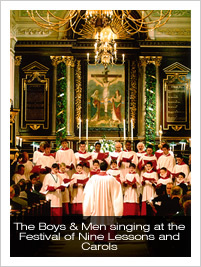 It is always exciting to have a new raft of carols to perform as in this broadcast." Our choirs give the first performance of these Carols on Sunday, and The Holly and the Ivy will be broadcast at around 7:50am on Thursday 23 December.